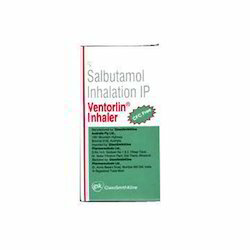 We are a leading Exporter of ventorlin inhaler, beclomin inhaler, foracort 200 inhaler and seroflo inhaler from Nagpur, India. We are actively engaged in presenting supreme quality array of Ventorlin Inhaler to our esteemed clients. It is processed in compliance with the laid medical industry quality standards using finest grade substances. We are offering these products at very reasonable market rates and used for the treatment of bronchospasm. Moreover, these products are available in given frame of time. 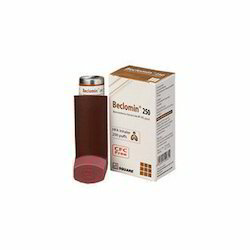 We are involved in offering Beclomin Inhaler to the customers. Our offered inhaler is widely used by our valuable customers for the treatment of asthma. Quality approved ingredients compounds and modernized technology is used by experienced professionals during the manufacturing of this product. We are offering it in accordance with the requirements of the customers. 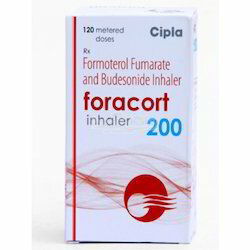 Our wide assortment of products also includes a huge spectrum of Foracort 200 Inhaler that has a very high demand among our clients owing to its purity and quick results. These inhalers are used in the treatment of asthma and non-infectious rhinitis. We are also offering these products in a varied quantity packaging options as per the specifications and demands of our valued clients. 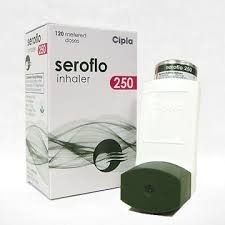 Backed by the in depth experience and knowledge of this field, we are actively engaged in providing an all-embracing assortment of Seroflo Inhaler that is largely demanded by our prestigious clients. Offered products are formulated by adroit professionals using the latest tools and the finest quality chemical compounds in tune with the set quality values. It is used in the management of asthma and chronic obstructive pulmonary disease (COPD).